OUR BANK DETAILS ARE AS BELOW. A DSC is essential for companies and organizations that take part or intend to take part in eTendering processes on various Government sites. IRCTC has been implemented e-Ticketing Platform to book Railway tickets fast and in secured way. CGPDT has been implemented Digital Signature Certificate to E-File Trademark & Copy Right Applications in India. EPFO has been introduced a new system to facilitate PF Users to Transfer their PF Accounts Online by Signing Digital Signature Certificate. Income Tax India has been implemented and mandate use of Digital Signature Certificate to return or Upload Income Tax Return..
Best Digital Signature Certificate Provider in Delhi, India - Class 2, Class 3, DGFT !! 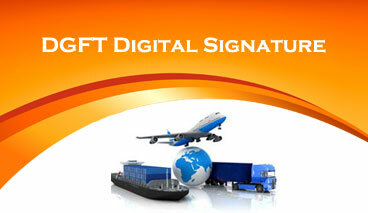 Digital Signature Sales, an extremely specialized firm offering IT services and Solutions to the customers. The motto of our company is to provide digital signature certificate to our client whether they are individual or corporates. We are the foremost providers of digital signature certificates in Delhi and all Over India. We have deployed experts and highly knowledgeable professionals, executives, surveyors who are fully devoted to their work with huge responsibility. Our professionals and executive perform outstanding work in pre or post sale reports. You can get all types digital signature certificates from our company at a reasonable quote. 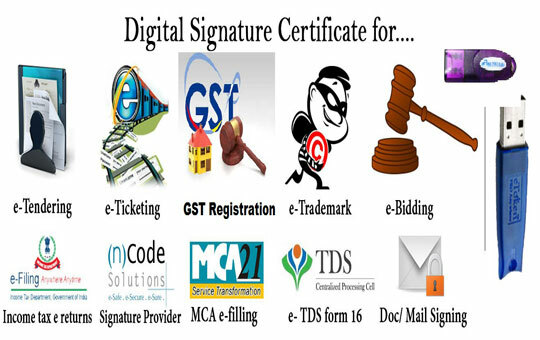 Why Required Digital Signature Certificate? Usually physical/hard copy form submission takes a lot of time to reach its destination to overcome lots of paper wastes and time delay online form introduced. To maintain authentic user integrate there was a need of digital and secure identity. Digital signature certificate became the correct solution for these needs. The concept of e-Governance came to an existence through Government of India in 2006. We can easily detect that some of e-Governance projects have already applied and recognized in the market such as e-Ticketing, e-Procurement, e-Tendering and they are in a developing process and Digital Signature certificates are very essential if you want to participate in these process. CCA (Controller of Certifying Authority) is authorized CA (Certifying Authority) which can issue Digital Signature Certificates under Indian IT act, 2000. 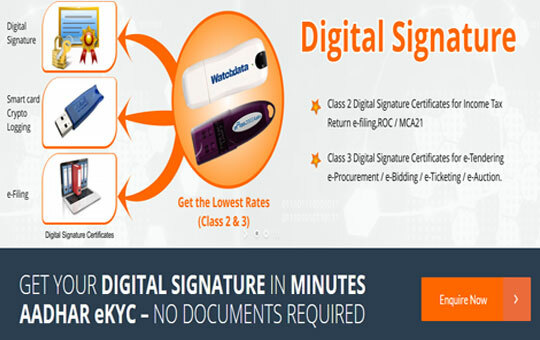 Class 3 Digital Signature Certificates are believed to be the Highest DSC and it is widely applied by companies and authorized individuals because of their multiple transaction in Internet banking, Transfer of provident fund, trademark-e-filling, e-bidding, e-auction, e-ticketing, e-tendering, e-procurement and so on. 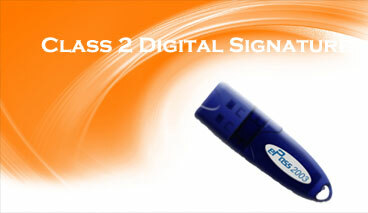 Class 3 Digital signature Certificate is top level DSC with having the validity of 1or 2 years. Income Tax Department has made compulsory the use of Digital Signature certificate to file ITR (Income Tax Return) for different transaction which exceeds 60 Lakhs so that it becomes customer friendly and convenient and it was already compulsory for Private Limited Company and Limited companies. DSC is also needed for transfer of Provident Fund, e-Filling, e-Mail Signing etc. Delhi Value Added Tax Department(DVAT), Income Tax Department and Ministry of Corporate affairs(MCA) has made necessary execution of Digital signature certificate for several transaction which make it easy and customer oriented. MCA has necessary made the use of Class 2 DSC for individual user or Limited and Private Limited Company online by website of MCA. E-filing of MCA forms and has become necessary to upload class 2 Digital Signature Certificate. DGFT DSC is basically a Class 3 Digital Signature Certificate mainly Issued to ONLY Import-Export Organizations. DGFT Department initiated and Mandate Use of Digital Signature Certificate to carry out various transactions over DGFT Website. DGFT DSC is mainly use to process in applying and approval of various license applications through DGFT Portal. After Validating identity of documents , authenticity of sender and other details of DSC, DGFT Department process documents for license. DGFT basically stands for Directorate General of Foreign Trade is the agency of Ministry of Commerce and Industry of the Government of India responsible for administering laws regarding foreign trade and foreign investment in India. Keeping Confidential, Security , Integrity , Time & Money Saving , DGFT mandate Use of Digital Signature Certificate. DGFT DSC can be procured by any Authorized Individual on Behalf of Organization with valid IEC Code. Read More about DGFT Digital Signature Certificates. Cryptographic USB Token, In General Terms a hardware device or usb token with specially designed and programmed for specific purpose like to Store Digital Signature Certificate or biometric authentication or to store password. It is a physical device to authorize any user by entering a password or something same. In reference to Digital Signature Certificate , we Use and deal in FIPS Certified USB Tokens approved by CCA India under IT Act, 2000. Famous brands of USB TOkens which are FIPS Certified in India are Aladin e-Token 72K, Trust Key USB Token, Prox Key USB Tokens, e-Pass 2003 Manual & e-Pass 2003 Auto, Gemalto USB Tokens. As per Guideline by CCA India, USB Token must have FIPS Certification to Store DSC in it with a Strong Password to authencate User. Today , This World is Dependent on Computer and Smartphones and the level of Security also increased accordingly. Read More about Cryptographic USB Tokens. 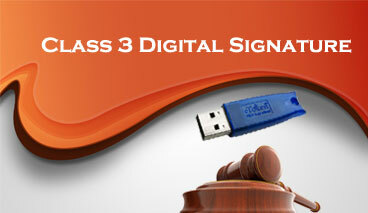 Get your eMudhra Digital Signature Class 2, Class 3 & DGFT Certificates Here ! 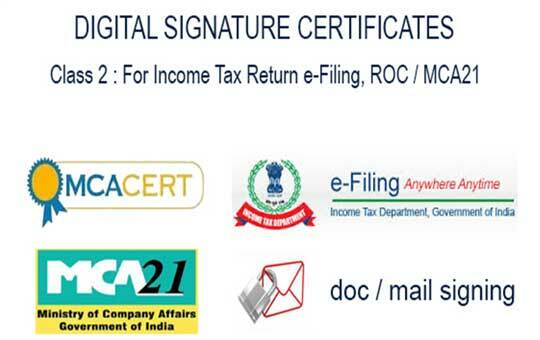 Buy Online Class 2 Digital Signature for MCA21 (for ROC) and Income Tax e-filing. Can be used by Company Directors, CA/CS/CWA, Tax Practioners, Bank Managers & Individuals. Class 3 Digital Signature Certificates for e-Tendering applications for all Government of India e-Tenders that ensure faster reviews and greater transparency. Buy Online DGFT Digital Signature Certificate, used by the EXIM (Importers & Exporters) community registered with the DGFT (Directorate General of Foreign Trade) in India. I would like to thank Mr. Shailendra Aggrawal and his team members at Digital Signature Sales for the excellent digital signature services. Keep it up and goodluck to Digital Signature Sales. If i ever need a digital signature certificate i will definitely use digitalsignaturesales.com. And provide digital signature class 2, class 3 & dgft. The company has its own offices in Metro cities of India. who provide great service for digital signature.